The Lady Geeks discovered that there could have been a very different Marvel movie universe. So much more different. Jensen Ackles different. Fanfic Theatre: Hey, Arnold! In honor of the premiere of its seventh season this Friday, Gypsy joins the Space Pirate Queen and Gizzy to discuss all things Supernatural! 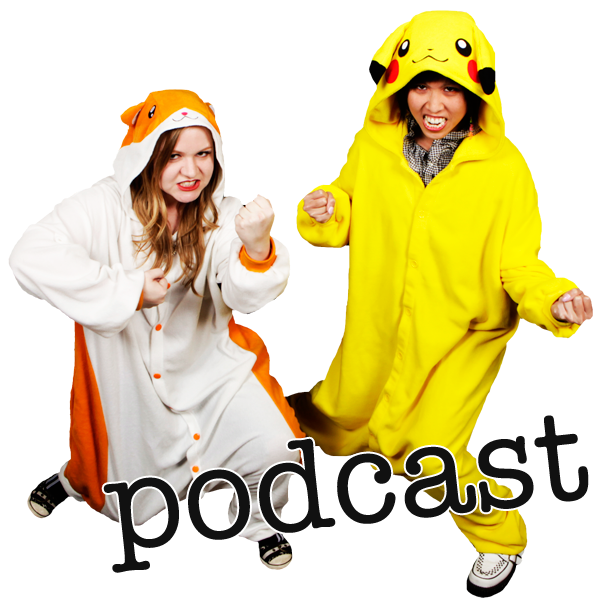 The Lady Defectivegeeks reveal our obsessive ways– we mean, how much we love the show. Find out how the ladies all started watching the show and their thoughts on the last season. Overall, we just hope for more shirtless Sam in the future. Warning: Fanfic Theatre proves to be most disturbing in this episode. 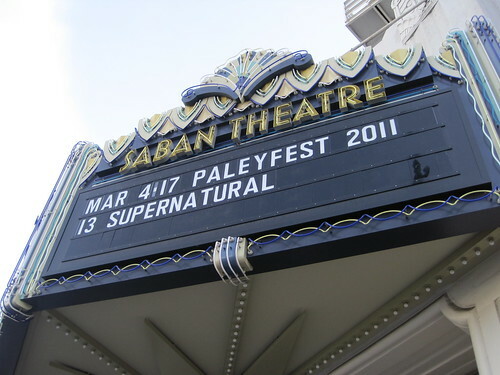 This was our first time at the Paley Festival, although I’ve always wanted to attend one of their panels in the past. When I found out that Supernatural was coming back to the festival (and on a weekend! ), I rounded up fellow Supernatural fan (and Defective Geeker), Gizzy– no way, we were going to miss out on this one. Erik Kripke, Sera Gamble, Ben Edlund, Jared Padalecki, Jensen Ackles, Jim Beaver and Misha Collins were all in attendance. We arrived at the theater a little before 2pm and the line already wrapped around the block. I felt pretty bad for the neighborhood who had to deal with the fangirl horde, littered infront of their lawn. Compared to when we went to the Â convention in Vancouver, Los Angeles has proven itself to be a little bit crazier and somewhat more stressful. I missed the laid back atmosphere of Vancouver con! I forgot to mention that on our first day, two of the women that were running the registration/ticket table were incredibly rude and… well, quite bitchy. Their attitude pretty much told us that they may have been taking advantage of the situation to try and make other people feel bad by talking down on them (aka, as we call it, “power trippin'”). Luckily, the woman who I ended up purchasing my tickets from was much nicer than those first two. Otherwise, the rest of the CreationEnt staff and volunteers we talked to for the rest of the weekend were much nicer, though somewhat more overwhelmed and stressed out by the bigger LA audience. Though I will have to conclude that I had a much better experience at Vancouver Con. Sunday was the biggest day, much like Vancouver, because it is the day of everything Jared and Jensen related. The first thing we did in the morning was our “J2 Sandwich” photo op. I admit, much like my first experience, I was extremely Â nervous and quietly freaking out while we waited in line. 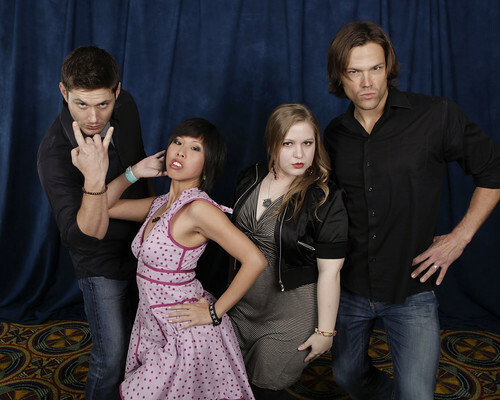 Although, I did manage to look at Jensen directly (I know, it’s pathetic… I’m such a fangirl) and gave him instructions on how we wanted everyone to pose for the photo: FIERCE and FABULOUS! (like Zoolander!). The two actors were in a very playful and good mood that morning. They played along with our request very eagerly. The only unfortunate part of the experience was that by the time they got to us, CreationEnt had decided they needed to start rushing people and “banned” hugs. Which we felt was very much unfair, especially since we had to watch the people in front of us take their time with Jensen and Jared… and everyone paid the same price for this photo op. I understand the actors are on a tight schedule, but they can’t expect attendees to cough up all that money only to have their experience jilted just because they allowed a few people to linger longer than most. It is our money and time too. Regardless, I got a little brave and gave Jensen a one arm squeeze around his waist before we had to walk away. I even heard Jared delcare, “I was the most fierce!” as I went pass him. I am quite happy with how the photo turned out too! I have to give props to Chris, the photographer. Although he was much more accommodating when we were in Vancouver, I understood why he seemed less laid back at this convention. He does make sure that the photos are worth it for us paying customers though, which we very much appreciate. By noon, Jared and Jensen were on stage at the main theatre, followed by a surprise panel with Jim Beaver, and then Brock Kelly at the end. That is probably the motto for this blog post you are about to read. If you are not aware, fellow Defectivegeeks blogger, Gizle, and I are both crazy about the television series, Supernatural. 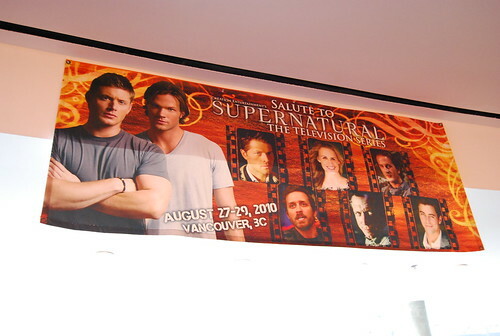 Which gave us the proper excuse to drop some money and fly out to Vancouver, Canada for the Salute to Supernatural convention, hosted by Creation Entertainment. Yes- our geek gave us an excuse to go on a vacation trip. We’re kind of awesome like that. We went with our other friend, Christy, and reunited with a long time friend, Adri (who I saw last when I was living in Japan, mind you! She was also an excuse to go on this trip). Although the convention was on Friday, Saturday and Sunday, we only dropped by the hotel on Friday to pick up our wristbands. At least, Gizle and I got our weekend pass wrist bands, and Christy and Adri couldn’t pick up their individual day bands. We were definitely looking forward to geeking out together. I mean, how can you take it seriously? We traveled all the way to Canada just for a Supernatural convention, for goodness sakes. We had to have a little fun with it… and we really did! We walked away with the best souvenirs (our mad amazing photo ops,) and a lot of memories to laugh about. More details after the jump below this preview photo. 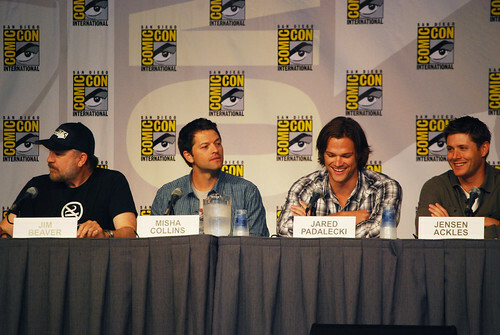 I admit it, the first two days of Comic Con has been gearing up to the last day… the day of the Supernatural panel. Supernatural is always going to be the exception to every rule on my book. Yes, go ahead and judge me– I know it’s a little bit sad. At around a little after 6am, I woke up to Gizle’s text that she was on her way. Along with a text from Cassie who was already inline for the panel (that does not start till 11:15am, by the way) to inform me that the line was already a million miles long. Apparently, people had been lining up since the night before. That’s pretty much equivalent to Twitard dedication. Eesh! Before 8am, we were ready to go. 8:30am, Gizle and I were speeding our way to the convention center and made our way to the Ballroom 20 line. It was… HUGE. 9:30am, we were let into the room and got fairly decent seats. We sat through the Smallville panel, which was actually entertaining. I don’t really watch the series, but the fans’ enthusiasm was a lot of fun. I thought to myself: soon, I will be screaming just like these people. 10:45am, we have decided that since I am fast and wily, I would beÂ in chargeÂ of getting up and finding better seats after the Smallville panel was over and people leave. It’s a pretty stressful tasks and I had a slight tummy ache worrying about it. 11am, I fought my way through the crowd and nabbed seats closer to the stage– so close that we could read their name placards on the table! 11:15am, cheering and screaming ensues. Hooray! This is what fandom does to you, my friends. BEWARE! The panel was pretty amazing and was well worth all the work (and bruises). There were a lot of spoilers for the upcoming season 6, which the fandom has documented very well already. Check out the Supernatural Wiki for links that details everything what the writers and the actors shared during the panel. 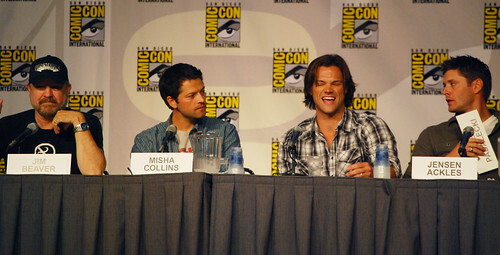 Jensen, Jared, Jim and Misha were all charms and smiles throughout the whole hour. Although my favorite is Eric Kripke’s Swan Song (Season 5’s finale episode) story, in which he mentions being very proud of himself after the episode originally aired. Once he went on the internet and realized how much the fandom “hated” it, he confesses to a moment of “no one understands me.” Still, he seems to take this in stride and did not seem to blame the fans for it. It is obvious how much these guys do enjoy their fans and are grateful for their passion, whether it was good or bad. SlightlyÂ embarrassedÂ to say, but I was completely thrilled to see “the Boys” in person! Excuse my moment of fangirl, but man… Jensen is PUH-RETTY! We did not get to go to their signing because the autograph line was closed off at 10am (an hour before the panel… yes, I know, that doesn’t make sense but that’s Comic Con for you, I guess). Gizle and I managed to swim by the WB booth and caught a closer glimpse of them. Yup. Them sure are pretty boys. 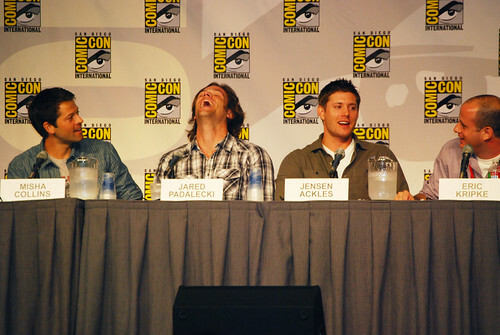 At the very end of the panel, they showed the gag reel that will be included in the season 5 DVD boxset. It was beautiful and we were in tears from laughing. All I can say is: Confetti! It’s a PARAAADE! Click here to check out the rest of my photos! Go to my youtube channel for more videos from the panel!